Civil War reenactments take place in the town of Corinth, Mississippi and are worth coming to see. Photo by Corinth CVB. Want to visit a trending travel spot before it gets overrun by tourists? Head to Corinth, Mississippi for a dose of Americana and the simpler things in life. Share your family memories through historic museums, great food, unique photo-ops, and good, clean fun right here in the Magnolia State. My daughter, who lives in Jackson, Mississippi, keeps me informed of what’s happening around the state and where the “hots spots” are for travel. All of a sudden, I’m hearing about the town of Corinth, Mississippi everywhere I go and everywhere I look. It seems this town, deeply rooted in the United States Civil War history, is a favorite of visitors at the moment. With a well-known Coca-Cola treasure, adorable local shopping, history museums, and a famous meal, Corinth should definitely be on your travel radar. Best of all, there are free things to do in this charming Magnolia State town. 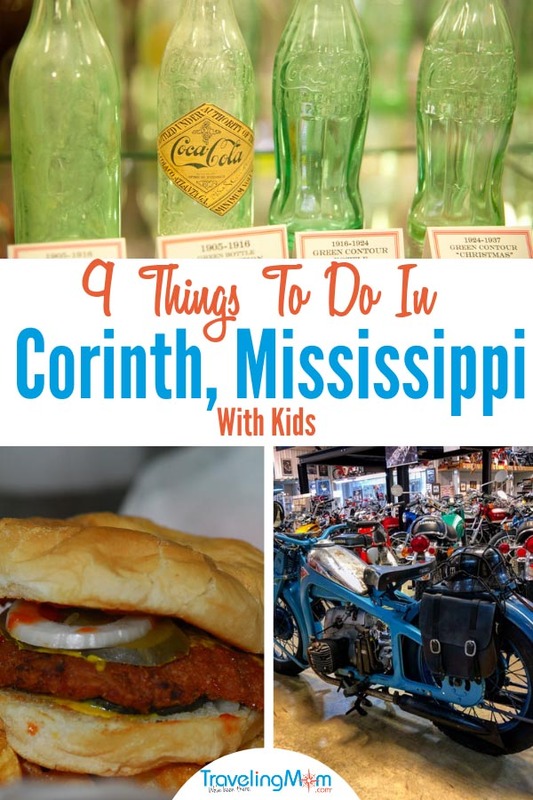 Check out these nine things to do in Corinth, Mississippi that you will want to add to your list. Bonus: many are free, and the rest won’t be too hard on your wallet. Several Civil War historical sites are in Corinth; four to be exact. Start your tour by picking up a map at the state-of-the-art Corinth Civil War Interpretive Center, added to the National Parks service in 2004. Then drive the routes to the battle sites associated with both the Battle of Shiloh and the Battle of Corinth, which gets a thumbs up from Civil War buffs for hitting all of the important details. At the Corinth Contraband Camp, war times are depicted through a 1/4 mile walk with life-size sculptures. Visit Shiloh National Military Park to see 14 historic sites associated with the Civil War. You can even see 227 of the 229 Civil War cannons still on the Shiloh grounds. I encourage everyone to visit the interpretive center itself, which is a little slice of history and Americana, even though it does invoke sad memories. 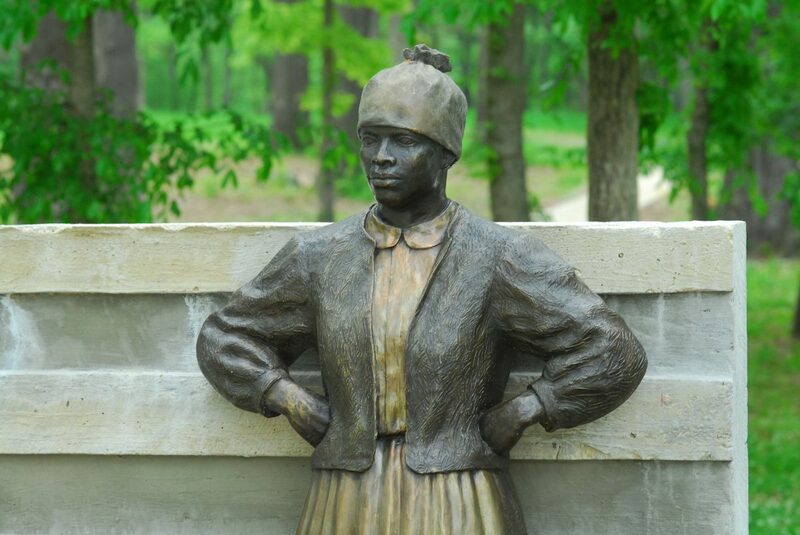 A beautifull statue of an African-American lady at the Corinth Interpretive Center. Photo by Corinth CVB. Tour the only historic home available to the public in Corinth at the Verandah Curlee House. It was here that the Confederates planned their attack on the Union soldiers as they marched to Corinth, Mississippi. The home was used for Civil War generals during that time and is now a National Historic Landmark. For fun, have your kids ask you trivia questions after the tour is over to see how much you learned. Admission cost is $8 for adults, $5 youth 12-21, and children under 12 are free. A huge Coca-Cola bottling operation has been in the town of Corinth, Mississippi for well over a hundred years. It is only fitting that the 1000+ piece memorabilia and collectors item be displayed in a fashion for all to see and admire. The Corinth Coke Museum is where you will find them. From a refurbished 1920s delivery truck to collectible bottles, bottling machines to vintage signs, you’ll find a little bit of everything nostalgic in this fun stop. My girls and I are die-hard Coca-Cola fans, so this is our favorite free thing to do in Corinth MS. 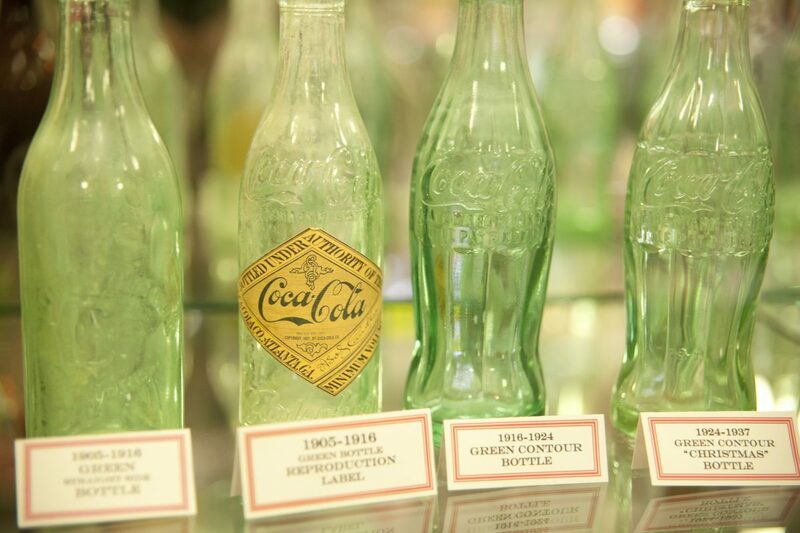 The Coca-Cola Museum has beautiful and unique green glass bottles in their collection. Photo by Corinth CVB. Corinth is a superb spot for whetting a line and really delving into the sport of fishing. With so many lakes, ponds, and creeks, this is a family-friendly activity that everyone can enjoy. A few spots to choose from are Weedon Lake, Surratt Pond, and Phillips Creek. You may luck into catching enough fish for your dinner! The historic railroad depot, where the Mobile & Ohio and the Memphis & Charleston railroads intersected, can be found at 221 North Fillmore Street in Corinth, Mississippi. 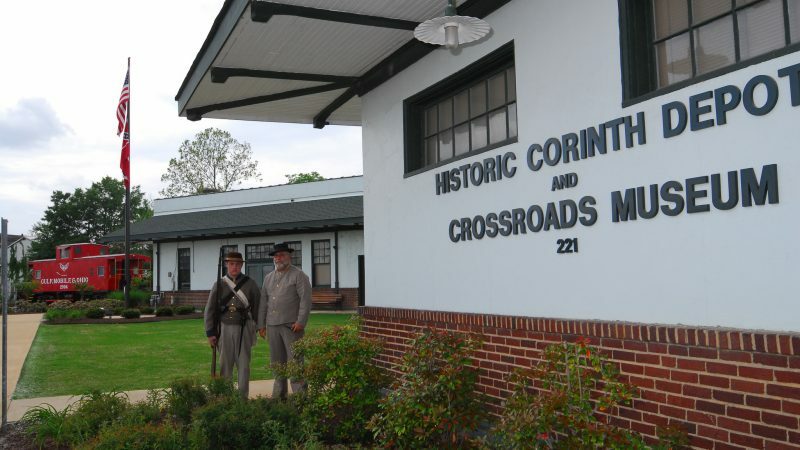 It is more commonly referred to as the Corinth Crossroads Museum and is one of the reasons for Corinth’s prominent status in the Civil War. You’ll find great photo-ops at this intersection. Museum admission is $5 for adults and free for children under 16. A second one is the state line selfie. I’m a sucker for these fun photo-ops. I’ve probably broken a few traffic regulations to get my kids’ pictures by state line signs in the past. Corinth is right along the Mississippi and Tennessee state border so you can add this easy target to your photo fun. 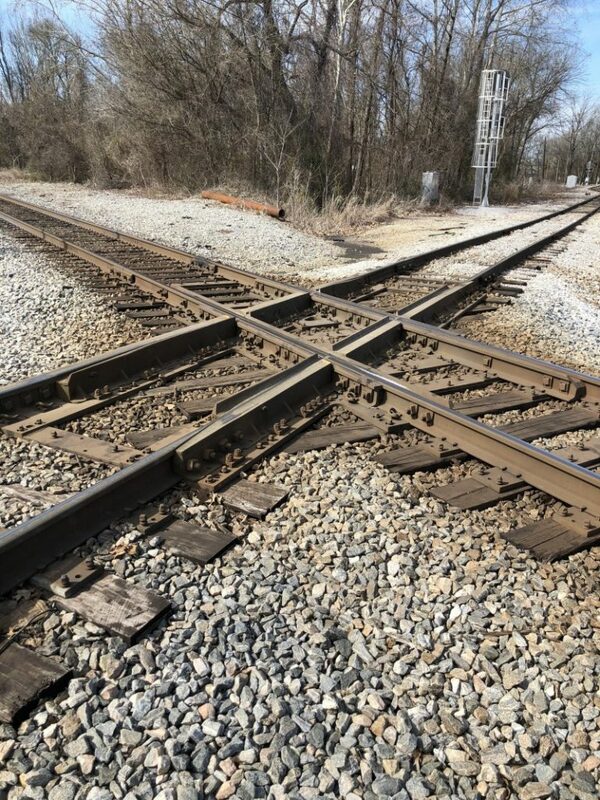 This cool crossing is one of the photo-ops at the Corinth Railroad Museum. Photo by Corinth CVB. 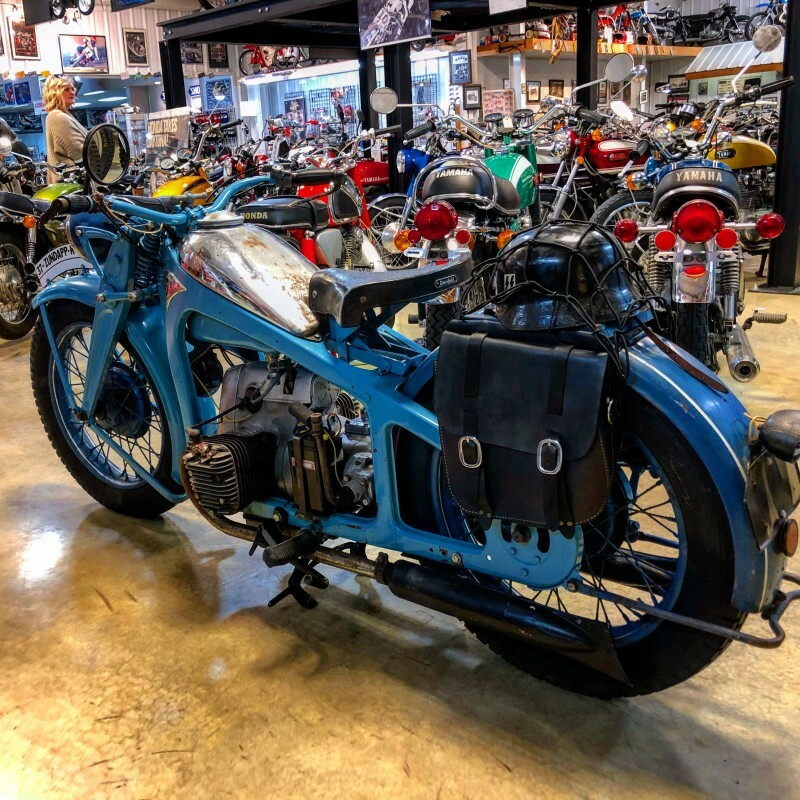 Drop into Lake Hill Motors & Marine to check out a huge collection of vintage cycles (motorcycles that is) to be admired. Regardless of the age, all of them are fully operational. Caution: your kid may want to leave with a motorbike, and that WILL cost! While there are always car museums to be found, a museum devoted to motorbikes and motorcycles is a bit more rare. Photo by Corinth CVB. Crossroads Regional Park is a great place to enjoy the fresh country air and let the kids have a big time…all for free! Not only are there a host of walking and jogging trails (68 acres of outdoor fun in all), but also a stellar playground (Crossroads Fun Station Mega Playground). Bring a picnic lunch (we are more of a “stop at Taco Bell” kinda family) and enjoy a beautiful setting where you can toss a Frisbee, football, or watch a local game (soccer, baseball, football) at the nearby fields. I’ve been visiting old or famous cemeteries around the United States with my children since they were youngsters. 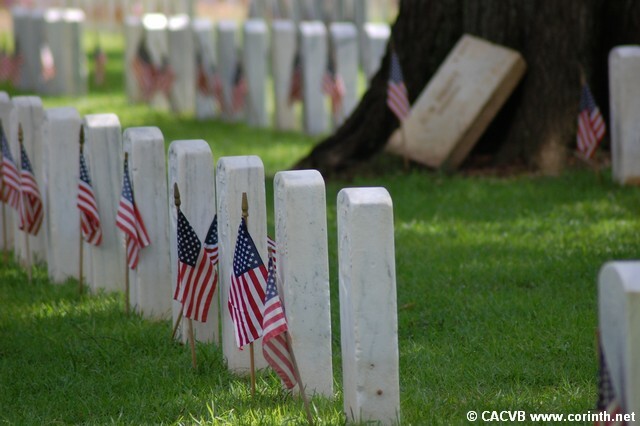 Not only is it a good idea to teach them about the graves and historic sites, but they also learn to pay respects to those who lost their life in battle or served in the military. The Corinth National Cemetery, circa 1866, opened as the burial site for American Union soldiers who died in the Civil War battle. It now houses veterans from all wars. Beautiful United States flag tribute to American fallen soldiers. Photo by Corinth CVB. 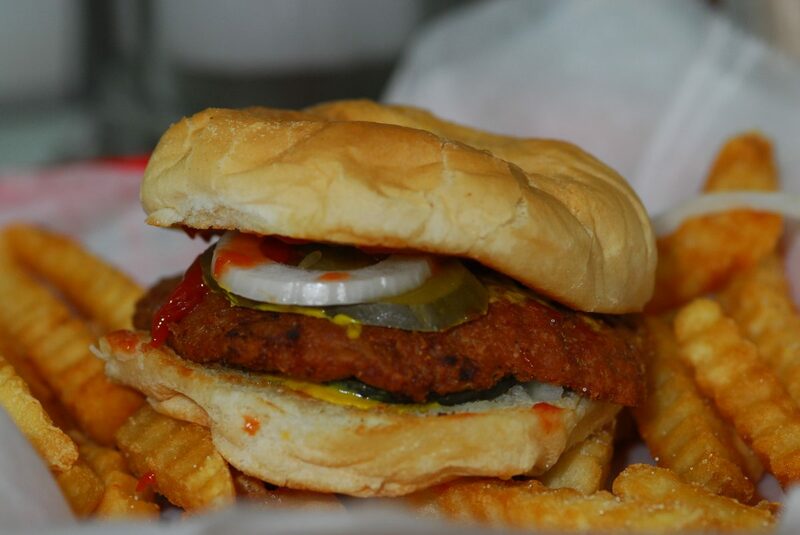 You’ll find the pop culture favorite (made of ground pork, soy flour, and spices) at Borroum’s Drug Store in the downtown Corinth Square. Pair your tasty eats with a thick milkshake or malt (I’m old-school) to quench your thirst and sweet tooth. The soda shop also has Civil War relics. 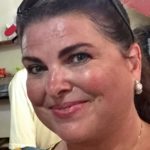 TravelingMom Tip: Plan your road trip the second week in July and visit the Annual Slugburger Festival. The Slugburger beef mixture is patties out, fried in Canola oil, and topped with mustard, pickles, and onions on a 5 inch hamburger bun. Photo by Corinth CVB. Our family loves hopping in the car and going out to experience towns like this across the country. Corinth, Mississippi is an excellent option for discovering a taste of Americana while tasting an iconic dish, learning more about the Civil War, and paying respects to those who have fought for our freedoms. Here’s wishing your trip to Corinth, MS is as memorable as ours.